Hurray for Girl Power! In a land full of who cares less of which Kardashian has what drama, a new website/daily email has really impressed me. According to their website, The Skimm describes themselves as an online newsletter that simplifies the headlines for the professional who knows enough to know she needs more. In the HUGE file of why didn't I think of this, The Skimm is a daily dose of the news of all kinds, broken down on a level that anyone can understand in a fun readable way that makes you really want to know what is new in the world today. 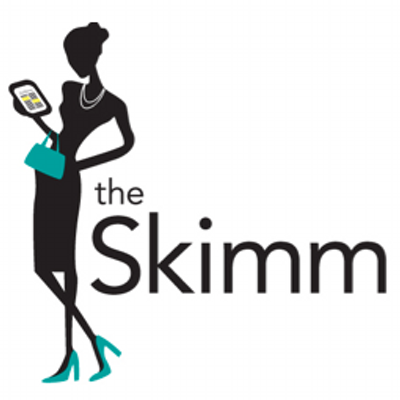 The Skimm is a daily news recap to make it took a lot of guts, and white wine, for us to make the Skimm a reality. These are smart girls that deliver the news in a fair balanced manner and then break it down to make it easier. They then relay it back to you with every day situations for you to keep up. My question to Carly and Danielle, the founders of The Skimm is what every women in business wants to know- How did you know it was time to make the jump to venture out to make The Skimm a full time reality in "a leap and the net will catch you fashion?" As longtime friends who bonded over working in the news industry, we each came to realize that the careers we idolized growing up didn't exist in the same capacity in today's digital news world. We both had a streak of entrepreneurialism in us but were scared to death at the thought of leaving the career path we had worked so hard to get on in the first place. Nevertheless, we were at a point in our careers where we wanted to take on more. Our "A-ha" moment for what 'more' was, exactly, came as we were texting one night, discussing a problem we saw amongst our friends - busy, successful, highly educated women who don't have the time or interest to dig through the news but still need the info to confidently go about their day. We realized the service we had been providing all along to our friends -- explaining the news in a palatable, accessible way -- was something everyone can use and benefit from, as an information concierge service. It's one thing to be told 'now's the time in your life to do this!' While it's true, neither of us has a mortgage (we're roommates! 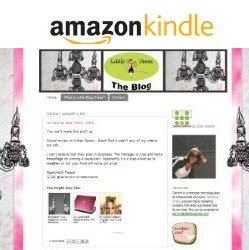 ), kids, or major expenses, we were very anxious about giving up steady employment to follow a passion. But the financial and emotional leap came to fruition when we realized this was a passion project with legs. We weren't leaving to go make a quick buck, we were leaving to pursue a true passion, that was also a well thought out business. The best advice we've received on making the jump was that the only way we would fail is if we never tried. If you really believe in your idea, no truer words have ever been spoken.